Why would best-selling author Seth Godin swear off traditional publishing for the rest of his books? 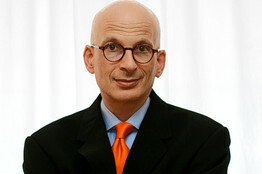 Seth Godin spurns traditional publishing. Another sign the Indie Revolution is gaining ground. traditional publishing for his next books. It was a widely covered story. The Wall Street Journal headline declared, Author to Bypass Publisher for Fans. What is he thinking ,or better said, why the change? He is by any measure a successful author and traditional publishers would line up to get his next book. So why not just stay the course? In addition, Godin cited traditional publishing lack of speed when it comes to bringing a book to market as another reason for self publishing. One of his many concerns about the current publishing market is that the process often takes 12 months or more to get a new title into the hands of his readers. ← Publisher’s Weekly declares stigma of self publishing has vanished.